AP+M has launched its new planned outage solution: OUTAGE IN A BOX®, a complete consumable parts kit for heavy-duty industrial turbines. AP+M, one of the largest worldwide independent stocking distributors of heavy-duty and aeroderivative gas turbine parts, will ship and deliver the product to the plant’s site in a secured conex before an outage begins. OUTAGE IN A BOX® includes thousands of consumable parts, as well as an inventory workstation with a computer, barcode scanner and software to quickly locate and itemise individual components. Once the outage is complete, AP+M coordinate the box pickup and invoices only for the parts used, with no restocking fees. AP+M president and CEO Greg Young said: "We’re excited to officially launch OUTAGE IN A BOX®. It’s the one solution that addresses the hassles associated with planned outages. "Instead of sourcing consumables from countless contacts, we customise the kit to each customer’s needs in a single delivery right to their site. Plus, we only invoice for the parts used." OUTAGE IN A BOX® eliminates the time and hassle of negotiating with multiple vendors, minimises downtime by no longer waiting on additional parts to ship, and saves money by avoiding over or under-purchasing parts. 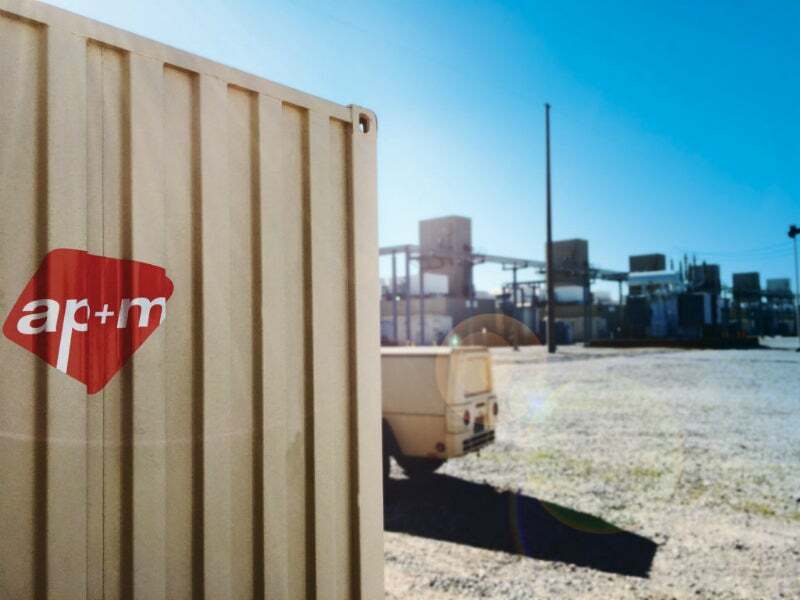 From a recent beta launch, Santa Rosa Energy Center’s O&M manager Brad Soileau describes his experience: "AP+M’s OUTAGE IN A BOX® was perhaps our wisest decision made during a recent hot gas path outage. The kit went beyond our expectations – from the orderly parts indexing, overall functionality, and parts stocked as guaranteed. "AP+M’s policy of paying only for what’s used without any restocking fees is above the industry standard." The company is ready to simplify heavy-duty industrial gas turbine users’ planned outages worldwide. To learn more about OUTAGE IN A BOX®, please contact the company via the enquiry form on this page.